Jetson Green - Are Mega-Buildings the Future of Our Cities? Are Mega-Buildings the Future of Our Cities? Cities of the future will almost certainly need to be both larger and much more sustainable than they currently are. Due to this assumption, the logical solution is huge mega-skyscrapers, which are capable of producing their own power and handling their own waste. 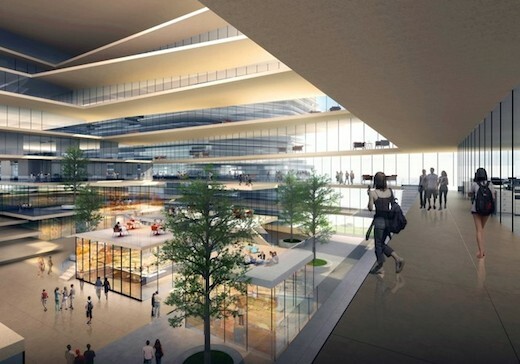 One such design was recently put forth by Urban Future Organization in partnership with CR-Design in the form of the Cloud Citizen building complex which is to be built in Shenzhen, China. 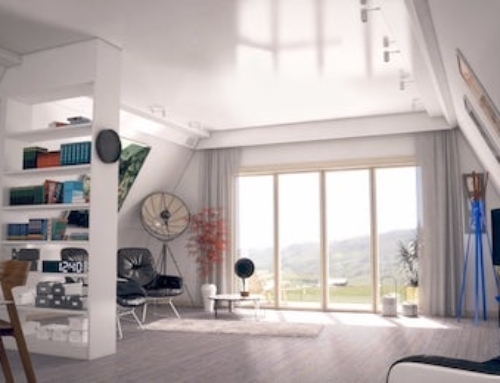 Their idea is actually a whole sprawling complex of interconnected buildings, which includes great spaces and comes with a number of sustainable features. 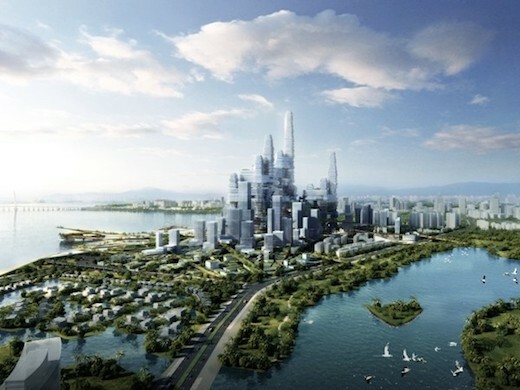 The Cloud Citizen building was designed to compete in the Shenzhen Bay Super City Competition, which tasked the participants to come up with a concept for a brand new 420 acre (170 hectare) financial district of this growing city. The brief called for the district to be made up of three high-rise buildings, with additional cultural buildings and landscape, which would connect the new district with the existing city around it. The Cloud Citizen building took first prize in the competition. 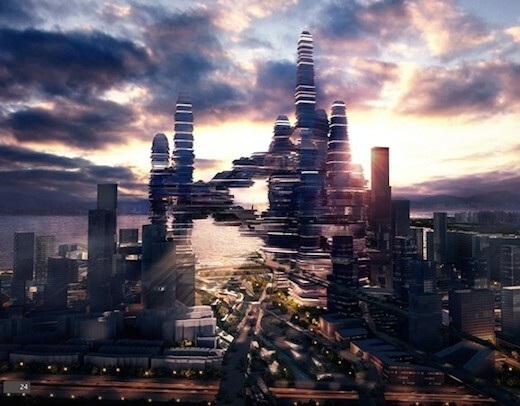 In designing the Cloud Citizen building complex the designers wished to create a “continuous metropolis” of sorts. 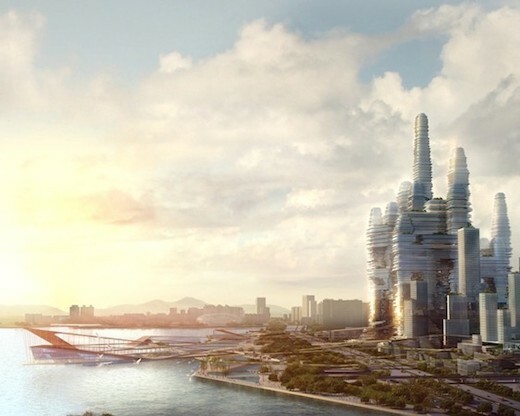 Their plans call for a building complex with three towers that would be joined by bridges, which are themselves also made up of several floors. The structures that form the complex are made up of commercial, leisure and cultural spaces, as well as several public spaces. The architects also designed the public spaces so that each is connected to a park, which also function as “green lungs” for the complex as a whole. The main goal of these so-called “skyparks” is improving the health and wellbeing of the people occupying and working in the buildings, while at the same time providing meeting places, and areas where people can come to relax and enjoy nature. 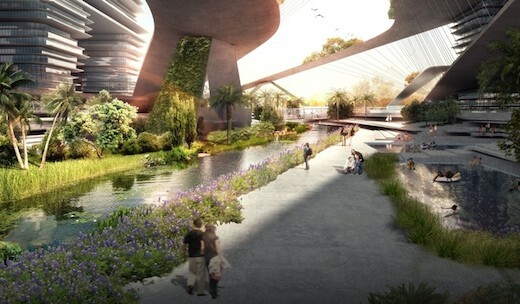 The complex is also designed to harvest rainwater and generate the electricity in would need from the sun, wind and even algae. What if the assumption is wrong? Then this stops being logical very, very quickly. And your qualifications to make this assumption are? ?